For over two decades, native West Virginian Jeffry H. Hall has worked as a trial lawyer defending corporate and industrial clients. Combining his background in occupational health and safety with his legal skills, Jeff is a formidable presence in the courtroom and a leader in defense litigation in WV. He specializes in product liability, insurance defense, toxic tort, and mass tort litigation as well as personal injury and general defense litigation. Jeff practiced law in Michigan for seven years after his graduation from Western Michigan University Thomas M. Cooley Law School. In 1990, he returned to his home state, practicing with Goodwin & Goodwin, PLLC for seven years. 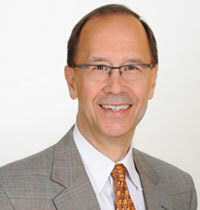 In 1997, Jeff joined Hendrickson & Long, PLLC, where he is a partner. In his more than 20 years of experience in defense litigation in WV, Jeff has defended many cases involving product liability and toxic tort claims. He has represented corporations and employers in premises liability and deliberate intent claims. For manufacturers he has defended chemical exposure claims. Jeff’s general defense practice has included cases ranging from automobile accidents to premises liability claims. He has tried cases in both state and federal courts in West Virginia and Michigan and has appeared in several additional states and the District of Columbia on behalf of corporate clients. Active in the defense bar, Jeff continues to provide his expertise to corporate clients and others in West Virginia and surrounding states. Best Lawyers® recognizes Jeff for his skills representing defendants in mass tort litigation/class actions and personal injury litigation, including naming him the 2016 “Lawyer of the Year” in Charleston, WV for Mass Tort Litigation/Class Actions – Defendants. Additionally, Super Lawyers lists him as a Top Rated Products Liability Lawyer in Charleston. As an avid outdoorsman, Jeff enjoys all the Mountain State has to offer. He is also an animal lover.